Helena is using Smore newsletters to spread the word online. It's hard to imagine that this exciting time of the year is so quickly upon us! And with it the flurry of activities and excitement of the fast-approaching and well-deserved holiday break. There are so many things that we can celebrate this time of year...from family and friendships, to the giving of extraordinary and heartfelt gifts, to a time of rest and peace and refreshment. As you reflect on 2014, remember there are students in your class who will look back on this year and be thankful for your influence. They may be the one causing you the most trouble. Keep in mind that growth takes time and the seeds you are planting in young hearts and minds will grow and bring forth fruit, even if you might not see it yet!!! Just know you are MAKING A DIFFERENCE!!!! There are students who care, are grateful, who are learning and growing!!! Even if they never tell you!!!! With that, I want to wish you the most merriest of holiday celebrations...whether it's Hanukkah, Christmas or Kwanzaa...may your time with your family be extra special and filled with love and peace. 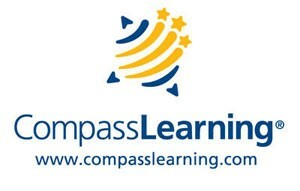 We have increased access to technological tools to help us create engaging lessons, collaborate with colleagues, provide easy access to data and programs designed to provide remediation and enrich our students learning. Our continued effective use of resources will help us reach our goals. Message to a TEACHER - "You are a LEADER too!" A Special Letter From Santa… Ten Reasons Why Teachers Must Be Magic! I have been meaning to write this letter for a long time! It is a letter that I feel is long overdue and with the elves getting all ready for my long ride, I finally found the time! I have been watching teachers for many years and I am amazed at the work they do. I have come to a conclusion that the teaching profession, like my own, must be filled with bits of magic! Please let me provide ten statements of evidence for my belief. 1. I travel the world one night of the year visiting all the boys and girls of the world. The teaching profession works with every boy and girl all year long. This equates to each teacher fulfilling educational needs for 30 – 200 children each and every school day. Seems like magic to me! 2. I deliver presents to all the boys and girls. From my Toy Repair Shop statistics I find many of these gifts are broken or no longer garner a child’s interest within months! Yet teachers find inner gifts in every child. Teachers nurture these inner gifts until they develop into true presents that will last a lifetime. These kinds of gifts sure seem like magic to me! 3. I keep my naughty and nice list for every child. Some people believe this job is pretty amazing! Yet when I look at the teaching profession, teachers provide a constant evaluation of all their students! Their list covers all the aspects of developing and learning which they report to children’s parents and to the children themselves! This evaluation is based on a wide variety of observations, data, and student performance. Teachers will then use this list to help improve each and every student! Wow, keeping track of every student’s ability and prescribing ways to be successful must really be magic! 4. I leave presents to students who are on the nice list and who believe in me. Teachers work with all children because they believe in every student. Teachers continue to do so, even when students stop believing in the educational system’s ability to help them achieve. That type of persistence has got to be magic! 5. I have operated my workshop using the same technology for hundreds of years and it has worked for me. Then again, I work with children when they are asleep, delivering presents in my own way. 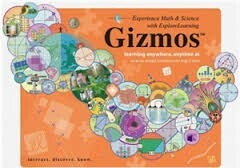 Teachers work with children when they are awake and they have spent time learning how to engage children using googles, blogs, phlogs, glogs, prezis, and all these other words I really don’t know! Being able to teach, transform, and accommodate for this new digital generation must really be magic! 6. I have made it a practice to leave coal behind for children who do not make my good list! It seems every year the same children always get the coal. Teachers refuse to leave coal, in fact, they are working hard at leaving no child behind. To work towards a goal of leaving no child behind is a true act of magic! 7. I read the news and I am always so thankful to read all the nice articles about my work. It really does provide me with motivation to keep up my vocation. I read news articles about the education profession and it seems that most articles are not supportive. Yet, teachers keep working hard at providing success for their students! These teachers must be operating on a little bit of magic! 8. I have thousands of elves, of course the reindeer, and the community of the entire North Pole to assist me. Teachers work every day, many times by themselves, as they provide new opportunities for their students! Carrying that load alone must be much heavier than my bag of toys. It must really be magic! 9. I receive many a thank you and millions of pictures of happy faces as children open their presents each year. Teachers don’t always get the thank yous, or may never see the present get eventually opened. When they do, appreciation may come from decades later! A thank you that appears after many years must be the result of pure magic! 10. I discovered a light in Rudolph brightens up a dark, foggy, or snowy night so that I can deliver joy to all the children across the world. Teachers provide the light that brightens our world in both the darkest night and brightest day! It is the light of learning and knowledge! The ability to keep that light burning bright must take a quite a bit of magic! You see, I have found that magic does not come easily! It is made possible only by those who work hard and keep believing, and seek what they know is possible! As you can see, there must be a great deal of magic in the education profession! Please continue to keep this magic alive and know that you are all on my good list! After all, I had to learn all that I do from somewhere! So from across the years I know I have many teachers to thank! Last, to all teachers across the world… I really do believe in you! The NAEP Questions Tool (NQT) provides access to over 3,000 released questions from NAEP assessments in all NAEP subject areas. You can see examples of students’ actual answers to constructed-response questions, with scorer comments. You can also see the percentage of students nationwide who answered each question correctly, and how students’ performance on a given question corresponds to their overall scores. You can bookmark question for later use, and use them to supplement classroom instruction. § Investigate the “What can I do here?” link and the Help button that are on every page of the NQT. The Office of Assessment Development is seeking nominations for the 2015 Standards of Learning (SOL) Item and Test Review Committees. The committee meetings will be held in Richmond, Virginia, according to the attached schedule. Approximately 15 members are needed for each of the 29 committees, and school divisions may nominate one or more representatives for each committee. recommend whether items are to be included in the test item bank. certificate for recertification points (pending local approval). All individuals who wish to serve on the 2015 committees, including those who have previously served, must submit an online application through the Assessment Committee Application Processing System (ACAPS). The application will require a professional reference and division approval. The procedure for submitting the online application is available at: https://p1pe.doe.virginia.gov/acaps/. 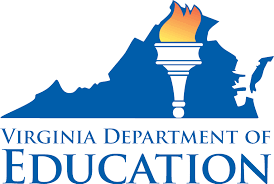 Completed applications are due to the Virginia Department of Education by February 13, 2015.